News and reviews from across the Friends of the Western Buddhist Order (FWBO) and Trailokya Bauddha Mahasangha Sahayaka Gana (TBMSG). "All funds raised by this event will go to paying for badly needed refurbishment work at our retreat centre Vijayaloka. The immediate aim is to use the funds raised to help us complete the work needed to meet a local council’s May 2009 deadline". No matter where you are, you can nominate the amount of time you would like to set aside for meditation over the Easter weekend. 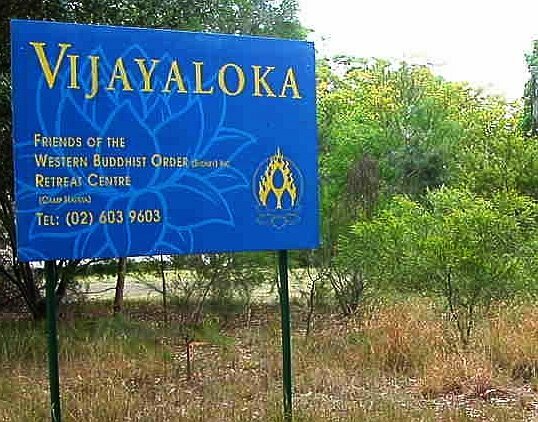 Some of us in Australia will be together on retreat at Vijayaloka and it would be lovely if you could join us, but you can participate from wherever you are. Once you have decided on the amount of time you'll be spending in meditation simply drop us an email to let us know (fundraising@sydneybuddhistcentre.org.au), or join our online fundraising team at www.everydayhero.com.au/meditation_marathon (more instructions below). Ask your family, friends, and workmates to sponsor you! They can do this by making a donation via the website, or through you. This will create a personal page for you under the meditation marathon team page, where you can display a message and set your fundraising target. • Then, send an email to your friends, family and colleagues asking them to sponsor you, and include a link to your page. Your sponsors can then go to your page and make a donation by credit card or PayPal. If it's all too technical, Yael will be happy to create your page for you. Contact her at yael63@gmail.com and include your phone number, postal address, date of birth, fundraising target and a short message to include on your page. Donations over $2 are tax deductible in Australia. We are all growing, in one way or another., in each moment. This year we are setting in place a number of activities that encourage us all to reflect on and set conditions that help foster a deeper contentment in our lives and in the world around us. We are combining these activities with our efforts to see our retreat centre Vijayaloka grow and prosper. In this spirit, we are encouraging sangha members to take some time out over the long-weekend to meditate. In doing this we will be joining together with sangha friends from around the world meditating together that same weekend.